Read about what happens when top marketers gather around a table (and several bottles of wine) to dissect iris' Participation Brand Index. Smart marketers long ago accepted they must cede control of their brand to consumers. But only the smartest let their consumers do the marketing for them. Iris, a global creative agency with offices in 14 cities around the world, recently unveiled the findings of its Participation Brand Index, an extensive research project that explored the degree to which top-tier brands engage in consumers' lives. As the study makes plain, brands that actively—and sincerely—participate in the lives of their customers organically align with their needs and passions and reap the benefits through consumer evangelism. "It's the basic principle of getting the market to do the marketing for you by creating great content," said Mike Giannone, iris' chief strategy officer. "It's the notion of brands being created with people and not just for people." 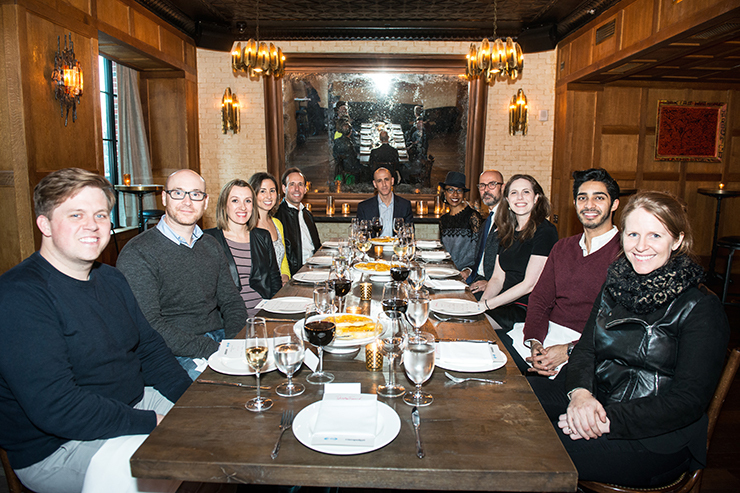 On a warm early April evening, senior marketers from JetBlue, Citi, PayPal, Casper, Pernod Ricard, Boxed, and Sundial Brands joined Giannone in New York's SoHo neighborhood for an intimate dinner. The topic of discussion: the Participation Brand Index and the lessons it holds for all marketers. Which is not to say current events weren't a factor. Earlier that week, Pepsi had released its now-infamous Kendall Jenner ad, an elaborate two-minute production riffing on protest culture that was roundly slammed as tone deaf. The fiasco, painful as it was to watch, provided a few crucial lessons, according to the roundtable participants, that jibed nicely with the iris study findings: Consult your audience to make sure your message and tone are on point. Remain willing to take part in social conversations, even those that are uncomfortable. And most important, don't try to capitalize on values that simply aren't organic to your brand. Giannone led the conversation with an explanation of the five pillars shared by all participation brands. The first is "passionate purpose"—or as Giannone put it, "why you get up in the morning." A brand can't just be about the products and services it sells, he explained. It must have a clear purpose that consumers can easily recognize. Equally, it must possess a passion to live up to that purpose with each action it takes. When a brand does make a statement about a social cause, for example, it must be purposeful and part of a pre-existing identity rather than a blatant publicity grab. 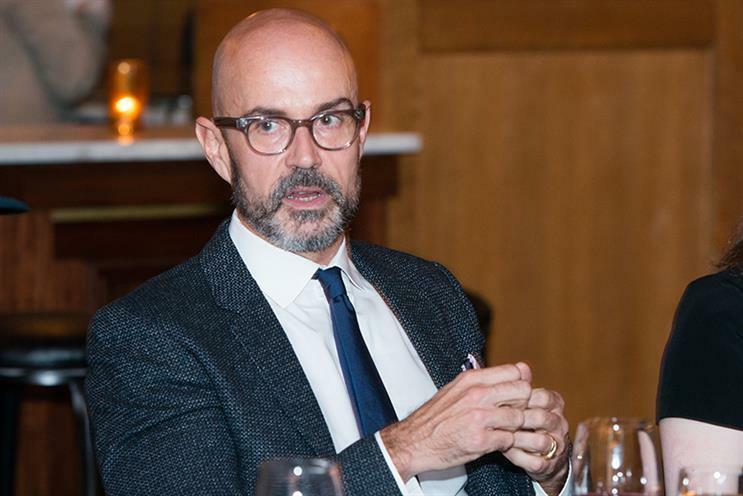 "It is so important to participate in a genuine and authentic manner," said Nicholas Guastaferro, marketing director at Pernod Ricard. "You earn a consumer's permission to speak on social cause. It needn't be inherent from day one, but it has to be progressive over time." "Culture shaping" – A brand's ability to bring something fresh to the world. "Distinctive character" – A quality that allows people to quickly and instinctively recognize and feel affinity for a brand at every interaction. The most powerful are multi-faceted, provocative, and reinforced simply through body language and iconography. "Category innovation" – The creation of new experiences consumers didn't know they needed until the brand put it right in front of them. "People powered" – Having a community of advocates to drive interest and affinity among others. Of all the pillars, this is the most important one, iris' global executive planning director Ben Essen recently told Campaign US. "That's what this whole thing is about really," he proclaimed. There's also the bottom line to consider. As Giannone noted, the study clearly showed a correlation between participation and business performance. Specifically, he noted, "An investment in the top 10 brands in the index would have produced a return double that of the S&P 500 each year over the past three years." 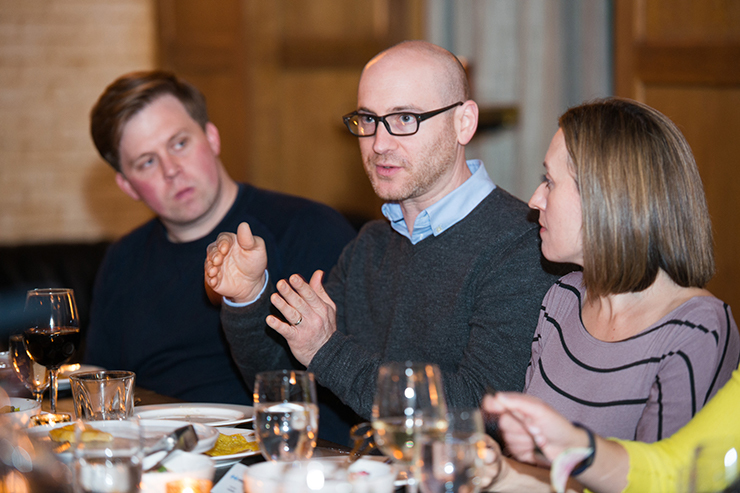 As the evening continued, the dinner guests looked inside their own houses to offer examples of how they allow consumers to actively participate in their brands. "Our brand has grown—and our users have been the force to market it," noted Josh Criscoe, head of corporate affairs, Venmo and PayPal Global Credit Portfolio. Although digital money transfers had already been commoditized when Venmo launched in 2009, the social element of payments hadn't. Once Venmo took the awkwardness out of paying someone back for dinner—emojis can always lighten the mood—consumers found a new enthusiasm for sharing the process with their friends. Latraviette Smith, SVP of communications for Sundial Brands, was quick to credit its consumers for being key facilitators for many of its products. "I'd love to think we [are] geniuses," she said, "but most of our ideas are sourced from our communities and the hair and skin challenges they tell us they have, which we then focus on solving." Taken a step further, Sundial has developed some of its products based on tweeted suggestions from consumers. "We all crave acknowledgment," Smith opined. "What makes you feel more acknowledged than having someone listen to you?" And what if you work in a highly regulated industry? While that might make it harder to have a freewheeling exchange on Twitter, it is no excuse to be terminally standoffish. "Compliance would be a nightmare without pre-defined regulatory protocols," admitted Stephen Carpi, SVP, global head of design, operations at Citi. "Listening for us comes in the form of user research and product feedback." Sometimes being a participation brand manifests itself literally—in the form of experiential events. 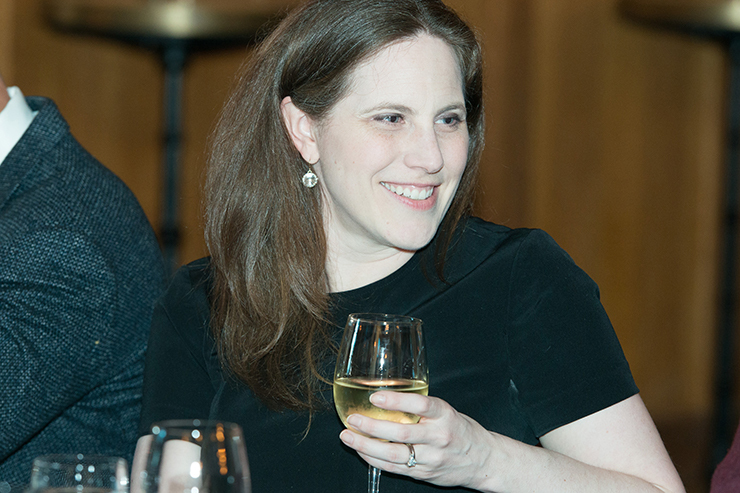 Jenna Klebanoff, director of CRM and retention marketing at Casper, highlighted the on-demand hotel service the brand offered at SXSW this year for people who didn't have a place to sleep. "You could get tucked in and have a real mom read you a bedtime story," she noted. "Or reserve a 45-minute session to nap, shower, and freshen up." Whether through products, social media or live events, iris' study makes it clear that great products and services are merely table stakes in today's marketing environment. Participation is what makes a brand truly relevant to consumers' lives. And the payoff: Those consumers will turn into your most valuable marketers. "Brands are humans in a way. And it comes down to having distinctive character. You evolve, you grow up, but your character is still the same." "The reality is you can go to CVS to buy toilet paper. For Boxed, it's all about changing attitudes and the way people interact. Netflix and chill? Need some snacks? We're about realizing what the value proposition is." "There's a lot of brand equity at Citi—it's 200 years old. We can't abandon our heritage, but we can build off of it and stay forward-thinking." "Venmo has grown because of the community. It takes the awkwardness out of getting people to pay you back. You just throw an emoji in there and it makes it easier to talk about a taboo topic." "Love wasn't as valuable as I thought it would be [in the Index]. People want to be with brands that are innovative." "What's more important now than ever is authenticity. We know who we are: A provocateur pushing the boundaries of social progressiveness—and that's what is resonating right now. But in a world of radical transparency, if [your brand message] is not who you are, you'll pay for it." "We want to make sure you know what you're getting, that you have a customer experience team to support you. And we're still trying to delight and surprise you along the way." "There's not a social post or comment that goes unanswered because that's how [consumers have] grown up with us. And that's a differentiation from most other brands. How many other brands are willing to give up control for true engagement, which means you're always there through everything—the good, the bad, and the sometimes not so pretty." "How do you build a brand on an experience when some people have the perception that a flight is a commodity, merely a means to an end? We've done research on when a trip begins and ends—when you book your ticket, when you get on the plane. We want to be part of the whole trip and truly be part of a great experience." Click here for the full results of Iris' Brand Participation Index.